La Fête Franglais at the Peterborough Arts Fest is on this weekend! Monday 2 September 2013, by Mathilde Vautier. 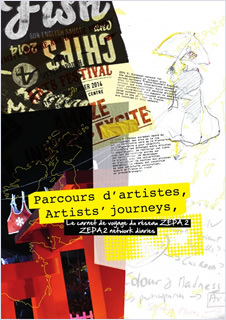 After the Fête Franglais in Winchester and Norfolk in July, the ZEPA 2 Anglo-French events start again for an artistic events-packed September. And it all kicks off with the Peterborough Arts Fest, where French and UK outdoor companies will perform on Saturday 7th and Sunday 8th September 2013. French company Générik Vapeur will be the first to meet the Peterborough community this week, with The Peterborough Invasion, a Peterborough-specific outreach project. Amongst the outdoor companies invited in the Fête Franglais are Le Navet Bête, Magmanus, Ramshacklicious, le Collectif Malunés, les Studios de Cirque and many more, including Bui Bolg and its "Anglo-French" installations, which have already toured in many of the ZEPA 2 summer events.